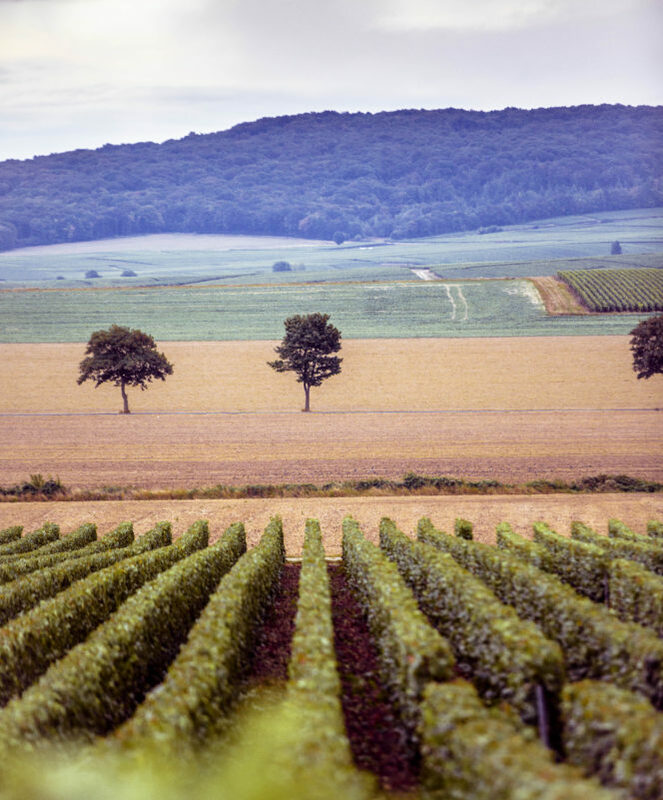 The fields of Montagne de Reims are unassuming, to say the least. It’s early summer, the vines are barely budding into life and the sun, although shining, isn’t doing so with too much force. The whole of Champagne has greeted me with a characteristically nonchalant French shrug. But, below the rolling hills and quaint villages sits a secret cellar. And it is anything but nonchalant. 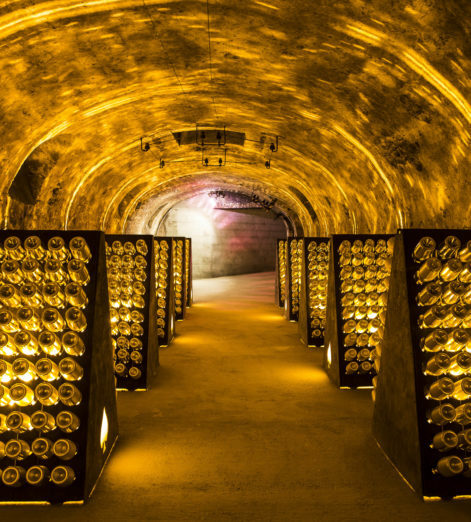 A lesson in hedonism, in decadence and ostentation, these are the cellars of Armand de Brignac, a Cattier-family-founded premium Champagne brand acquired in 2014 by Jay-Z. Bottles in various metallic colours, from a dazzling gold to crisp silver and hearty pink, are stacked against walls or in riddling racks, lit from above and below to show off their sheens. But, this ‘Ace of Spades’ Champagne — so nicknamed for the brand’s logo — is not all show and no substance. 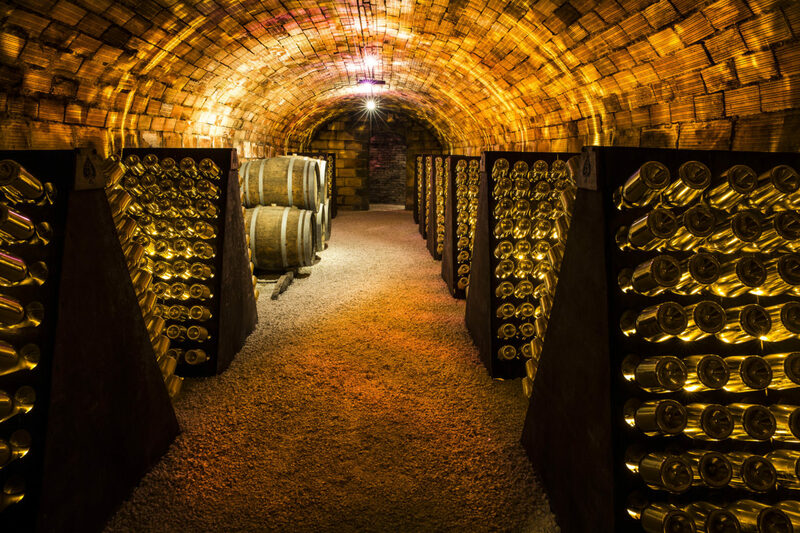 In fact, it has been voted as one of the finest ranges of Champagnes your (considerable) money can buy. 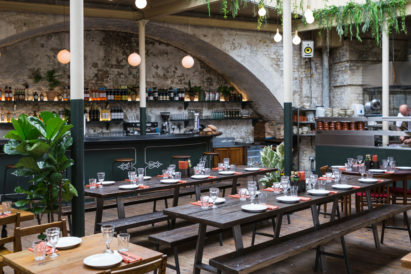 As I descend deeper into the 30-metre deep cellar, I am handed a woollen scarf — the heat of the sun above disappears quickly — and young winemaker Emilien Boutillat explains what makes these bottles so special. "But, below the rolling hills and quaint villages sits a secret cellar..."
Every one of the Champagne’s — a range including Brut Gold, Rosé, Demi Sec, Blanc de Blancs and Blanc de Noirs — is made exclusively from Premier Cru and Grand Cru grapes from the Montagne de Reims, Cote des Blancs and Vallee de la Marne terroirs. 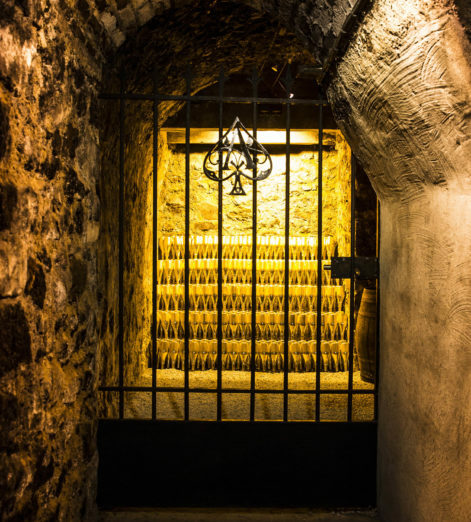 And, after each of the blends — a mixture of three outstanding vintage years — are barrelled in oak casks from Burgundy and Champagne, they are locked in a gated section of the Cattier cellars, which are themselves thought to be amongst the deepest in all of Champagne. Riddling is carried out by hand, says Boutillat, and each bottle is aged for at least a further six months before release. 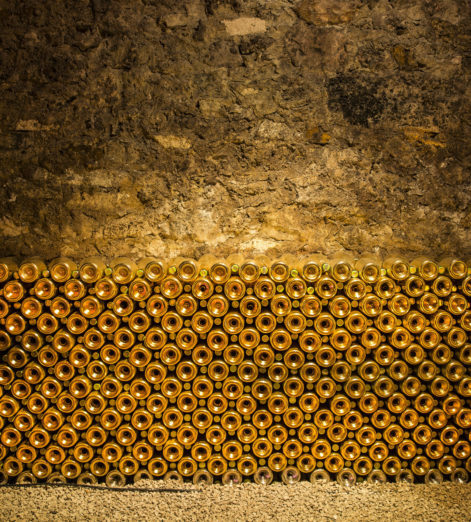 It’s an almost eerie place, but the glitter of the bottles gives off a look of buried treasure, like ingots stacked tens high against the wall. 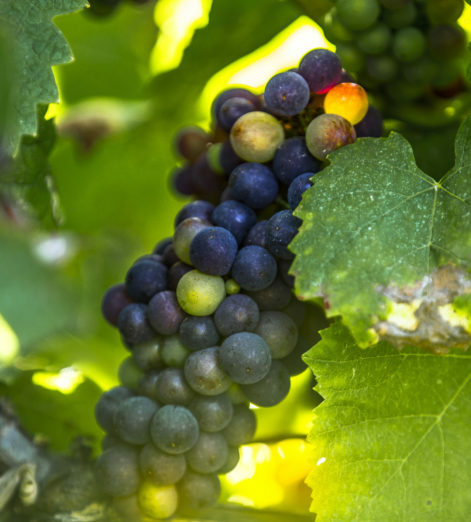 But, as we crunch across the gravel floors, the winemaker tells me that the attention to detail and exclusivity continues long after the wine has been made. 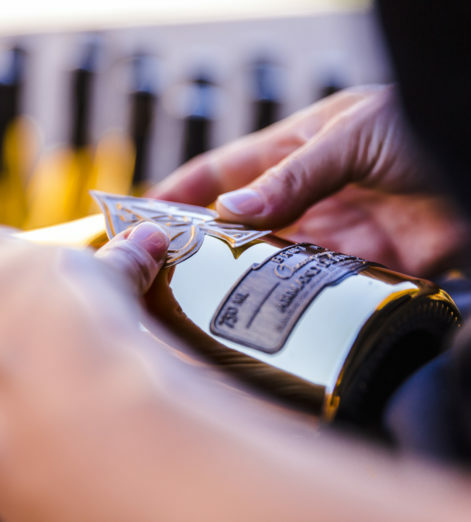 Each bottle is affixed with a series of French pewter labels, each applied by hand. The bottle, then buffed to a high shine, is placed into a piano-black box and sold for at least £300. The Blanc de Noirs costs over double, at £700. From berry to bottle, this is a Champagne like no other. 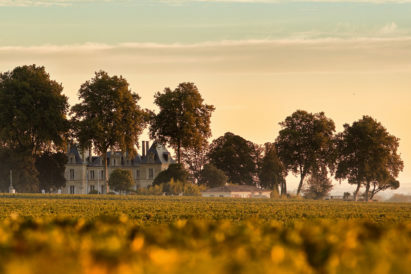 The 30-plus hectares of vines provide grapes unrivalled, and hand-crafting — from the pressing to the labelling — ensures a level of detail lost in machine bottling. 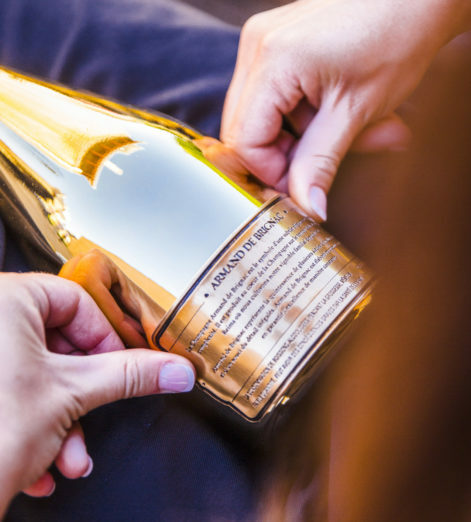 And each of the wines has been awarded 90+ scores by everyone from Decanter to Wine Spectator, proving that Armand de Brignac really is the gold standard. Should you be buying celebrity-owned wines and spirits? Or are they diluting the drinks industry? 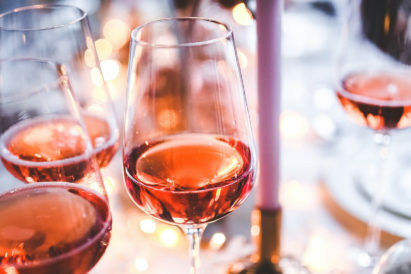 Ever on hand to help, GJ asked renowned head sommelier and wine buyer for Caprice Holdings & Birley Clubs, Guillem Kerambrun to offer his top tips on how best to order, invest and enjoy rosé like a pro.